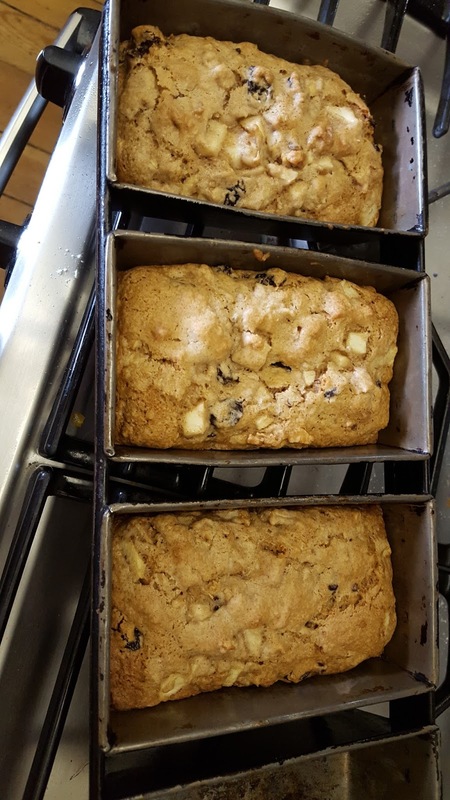 This is a pretty hearty bread - it has more fruit than dough. First, find yourself a pear tree. Luckily, we have one in the back yard behind the inn. Next - find someone tall enough (or use a ladder) to pick the harvest. In our case, that was Bruce. 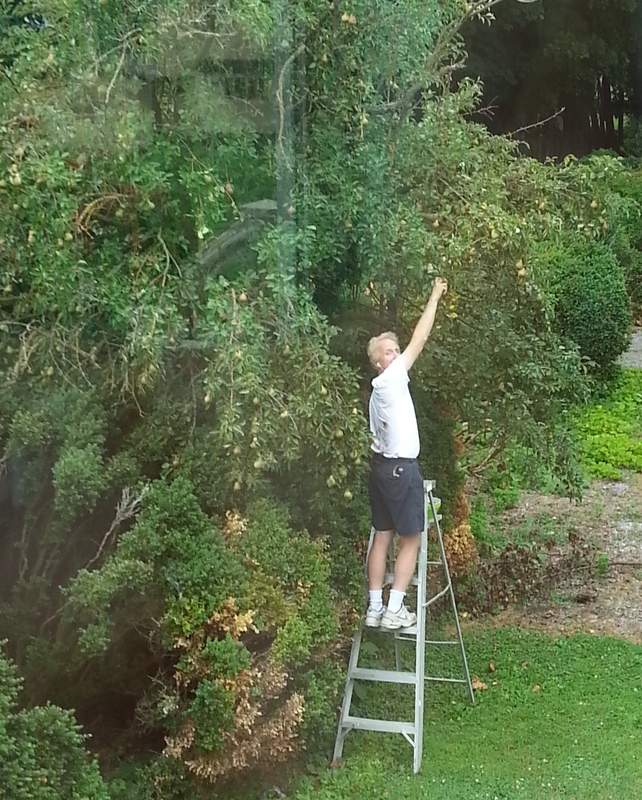 Even with a tall ladder, we couldn't reach all the pears. This made the resident groundhog very happy as he beat us to the ones that fell to the ground. 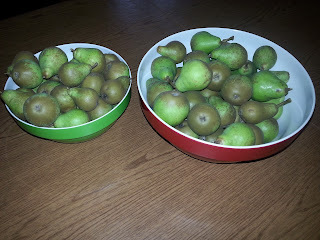 Once you have your pears, peel and chop two cups full. Grease an 8 1/2 by 4 loaf pan - or I use a mini pan (sold in restaurant supply or kitchen stores). Combine pears, 3/4 cup sugar, 2 tablespoons canola oil and 1 egg, mixing well. Combine 1 1/2 cups sifted flour, 1 1/2 teaspoon baking powder, 1/2 teaspoon baking soda, and 1 teaspoon cinnamon in a separate bowl. I like to just sift all my dry ingredients together. It seems to make them get along better. Stir in 1 cup of dried cherries (I have used fresh cherries and think the dried look better after baking). Optional: Add 1/2 cup walnuts. I usually add these in, but leave them out if we have guests with nut allergies. Combine the dry and wet ingredients and pour into your pan. Bake for about an hour for a full loaf, about 35 minutes for the smaller loaves. I have no idea why the image below insists on standing on its head, but trust me, it went into (and came out of) the oven correctly. Serve with pear butter. Enjoy! 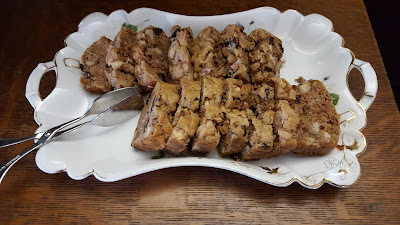 Another original recipe from The Artist's Inn and Gallery.